James Franco is a TWIHARD!!! BUSTED!! 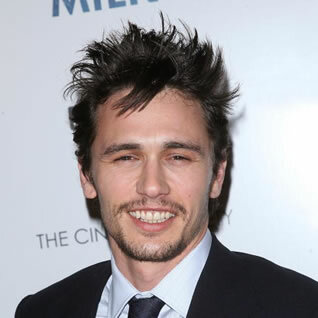 James Franco was recently busted again for his fascination with The Twilight Saga. James was quoted on MTV News as saying that not only has he read just about all of the Twilight Saga books, but he has seen all three movies that have been released so far. Not only that, he had some issues with some of the scenes in the books and movies. Franco continued talking about the outrageously popular saga, referencing a particular scene in the third installment, Twilight Saga: Eclipse. “It’s almost like a Brokeback Mountain scene where the two guys are talking in a tent and the girl’s asleep and they’re having the romantic moment almost through her in a way and one of them says, ‘Well I’m hotter than you. 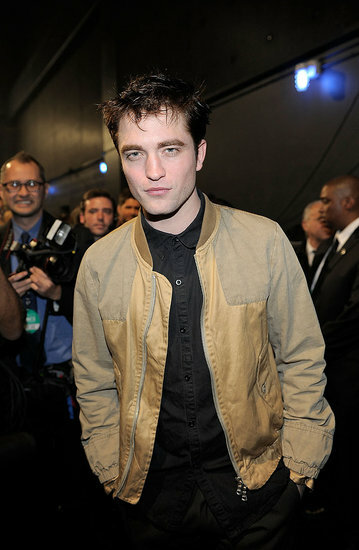 It’s almost like they’re winking at all the fans, to the Team Jacobs and the Team Edwards,” he said. Well, this isn’t the first time that James has brought up Twilight in an interview. Recently, in an interview with Esquire Magazine, he admitted that he was currently reading the last book in the saga, Breaking Dawn. When asked about it, he said he was doing research for an upcoming project. So, what does that mean? 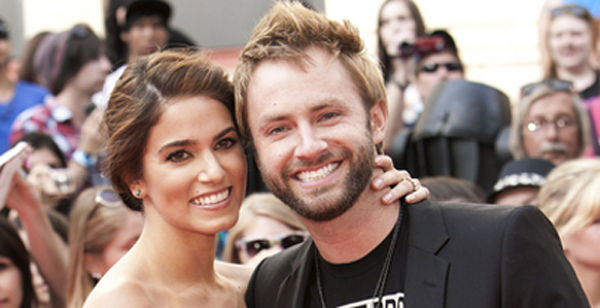 Could all of James’ Twihard dreams be coming true? Could he be up for a part in one of the last two movies? If so, who could he be? 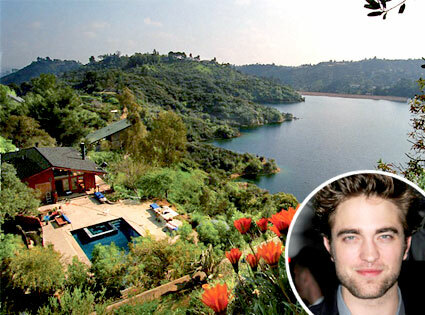 Nobody knows yet, but Celebstalk has an even more pressing topic to address…Is he Team Edward or Team Jacob? So far, James has been very vocal about his fascination, but since nobody knows which side he is on…Celebstalk investigated this! At first, we thought for sure that James Franco was Team Jacob. It just seemed more likely to us. Especially after spotting this cute pic of Franco. We know, we know…Jake turns into a wolf…but he can’t just make it obvious people! But before we made any judgments, we needed to exhaust all of the evidence. And there WAS more evidence…much much more…. Exhibit B: Look at this hair. No self respecting Team Jacob member would wear this hair! This has Team Edward written all over it! 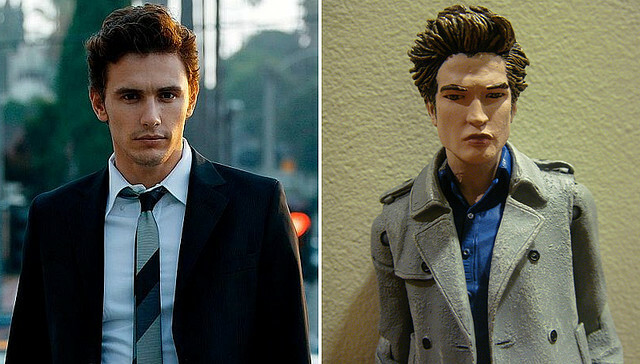 Not to mention the uncanny resemblance to Robert Pattinson’s hair. BUT! As we said…exhaust ALL evidence! So there you have it. 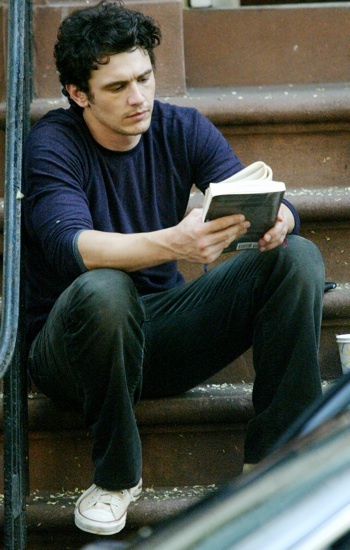 James Franco: Actor, Teacher, Hottie and now Team Edward lovin’ Twihard! What do you think Celebstalkers? Do you hope that James will star in Breaking Dawn? Do you care about any of this at all? Immortalize yourself and COMMENT BELOW!! !